This topic contains 1 reply, has 2 voices, and was last updated by admin 10 months ago. User submitted Form, User can download form to pdf at the end of the submitted form. Admin gets the pdf submission form from user. Is this doable with your plugin? Also it will be 1-5 Forms 1 site but the forms will be at different locations (url) of the website. Which plan is appropriate for this? How many pdfs can be generated? Unlimited? – Yes, this is exactly what the plugin is designed to do. 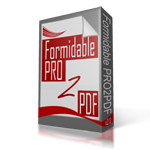 – Yes, unlimited PDFs may be generated.